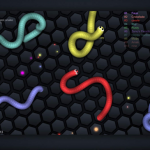 Slither.io is one of the many games that have emerged based on the Agar.io model that was a huge hit on browsers, then on mobile. 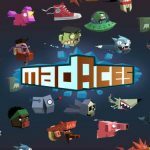 It had actually gotten its start as a browser game as well, combining the mechanics of Agar.io – massive multiplayer madness on your browser – with those of Snake, the classic mobile game that predated just about everything available on Google Play and iOS. Slither.io’s mobile version, as we had previously stated, is also available on Android and iOS, and your goal in the mobile version is the same – you’re competing with other human-controlled snakes (or worms) to become the biggest one out there, eating your opponents and striving to top the daily leaderboards. 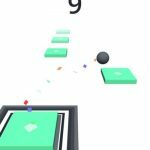 We’ve already given you our share of Slither.io tips, and in this new Slither.io guide, we’ll be dealing mainly with advanced tips that can help those who have been playing for a while have a better chance of beating everybody in the in-game world and leaving that message, saying you’re number one. So without further ado, let’s take you to the tips. As we discussed when talking about the game’s basics, the only way for you to kill your opponents is to lure them toward you and have them run into your body, but not your head. If they hit your head, or if you run into a rival snake on the board, it’ll be you who would be getting killed. So how can you lure those snakes toward you and make them explode? We would suggest cutting them off, starting by moving close to the head of another snake, and running right beside it. And once you’ve got them where you want, you can use your boost to get ahead and cut it off. That will have the other snake crashing into you, exploding and allowing you to consume its remains. Boosts may seem easy to use, but to be perfectly honest, they can be a bit challenging to utilize. But if you practice the above technique and get it right, you’ll know that you’ve mastered the art of using your boost at the right time. Just double-tap, with the second motion a tap-and-hold as you’re moving quickly. Let go of your phone’s screen once you’ve gotten enough boost. Yes, it all seems good in principle, but there is a tradeoff when it comes to using your boost. This process causes you to reduce some of your length, but if you’re prepared for that, you’ll want to use the boost as often as possible, but at the right time, to smartly eliminate your opponents. In order to grow in Slither.io, you’ll have to keep on eating. 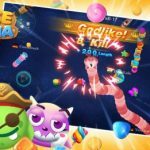 That is the only way in which you can make your snake or worm grow bigger, and aside from eliminating opponents, you will also have to gather the scraps that you spot along the way. Usually, those scraps come from snakes that were recently killed; if other opponents were not able to eat them up, call dibs on them and consume them. However, beware of the tradeoffs that may happen when a larger worm gets killed. Typically, the death of a larger worm gets everyone on the board interested, as players try to consume as much of the dead worm as possible. But be careful about growing too large while this is going on, as you wouldn’t want to be the next dead worm other players are feasting on. As such, it may be best to wait till the others are done scavenging before you swoop in on the large worm/snake’s remains. You’ll still grow solidly (if not spectacularly) by eating whatever’s left. Aside from scraps from recently killed snakes, you can also eat boost trails that other players leave behind when they use that function in the game. As stated, you’ll lose some of your length, and the tail scraps that fall off will become edible for others. It’s a good idea to follow a larger worm that boosts, consuming the tail scraps it leaves behind after boosting. It’s important to master the art of the boost (as we said earlier) if you want to throw off your opponents and eat them up after they die. But remember that this is a multiplayer game where other players have the same thing in mind. And when it comes to other worms cutting you off, you will want to be especially wary of smaller snakes, as those little buggers can be quite skilled and capable of cutting you off. That means you’re better off fleeing to safer ground if you see a smaller worm stalking you. But if you feel like you’re up to the challenge, you can coil up into a circular shape, as you won’t get killed by bumping into yourself. That will protect your head from enemy attacks, and you will likely be killing other worms that try to break through into the circle. If you play your cards right, you will eventually become the biggest and baddest worm in the playing field, or at least be close to that. So how do you survive, and how do you make yourself even bigger? Granted, you’re going to be a more enticing target to other players if you’re longer than most of them, but you can also trap smaller snakes inside the circle you form; again, you cannot die by bumping into yourself, just like the snake in Snake would have. Some players will soon find themselves in over their heads, and will bump into you as they try to get out, naturally killing them in the process. You may even end up killing two smaller snakes in one go by using this method. There are some other disadvantages, though, to using this wrap-around technique once you’ve gotten large enough. As you’re forming a series of circle, with each successive circle smaller than the last one, this could be a time-consuming process, one that may have you yourself feeling in over your head. That’s all for now, as far as our Slither.io tips and tricks are concerned. Do you know any other tips or strategies for the game? In case you do, please share them with us fellow players in the comments section below!